The kitchen is probably the room in the house that takes up most resources when it comes to decor. 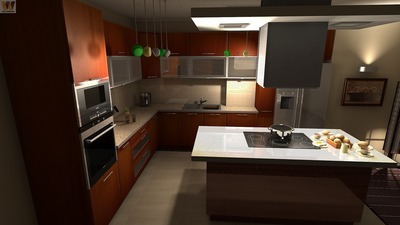 Balancing style, convenience and safety a needed skill when modeling a kitchen. 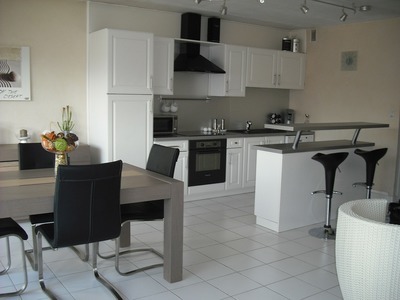 Firstly, there are different areas in the kitchen that require tiling and for varied reasons. There are wall tiles that act as a buffer against water from the sink, hence avoiding damage by excess moisture to paint and mold discoloration. These types of tiles can also be used purely as a decorative feature. The flooring tiles also have to be suitable for the kitchen, especially keeping in mind that water and food spillage happen on a regular basis in the kitchen. Secondly, just as any other room in the house, the color scheme has to be on point. The is kitchen is a rather public place, and can bring down the whole decor theme if not given the attention it requires. Here are tips on how to choose the perfect tiles for your kitchen. Back to the fundamental question, where is the tile to be fitted? For backsplash tiles, choose the tile color keeping in mind the color scheme of the kitchen which is influenced by the choices made when buying the kitchen appliances. If the kitchen space is limited, use bright and bold colored tiles that will make the place appear larger. The floor tiles should be waterproof so that they do not lose their gloss due to frequent cleaning. Consider the properties of the tile. 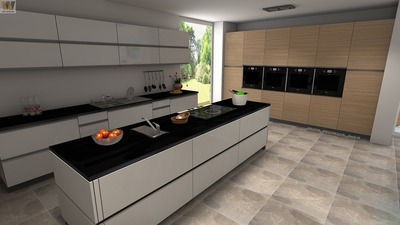 Ordinarily ceramic tiles with the highest durability rating should be used on kitchen floors owing to the functions carried out in the kitchen. 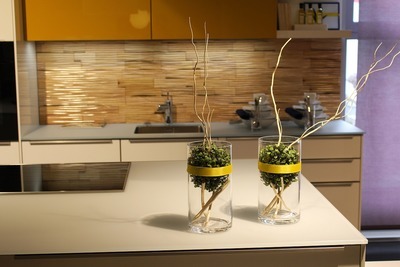 This however can vary for counter top tiles, and even glass tiles can be considered. To avoid settling for the less than perfect tiles, stick to the budget. Remodeling is money tricky and deviating from the original project plan puts at risk adequate financing for finishing tasks like tile installation. It would be unpleasant if you had to choose between your wallet and quality. Consider the occupants of the home when choosing suitable tiles. Are there pets that will cause spillages or spread stains all over the floor? Are there toddlers who are equally messy? If yes, go for durability and ease of cleaning. Quarry tiles would be suitable for a nature loving family. Glass tiles would be unsuitable in households with active toddlers who can break them. Different tiles are manufactured using different materials, and as such, maintenance is also different. Make sure to get the right advice when purchasing them. Natural stone tiles are particularly delicate to take care for and adequate advice should be sought. Go all in! For the best look, match tile grout colors with those of the tiles. This will make the kitchen look well finished with appreciation to detail. Lastly, do not shy away from getting adventurous. Decor is all about risks and beautiful accidents. Consider trying out new designs because they might be the next big thing in kitchen remodeling.